Anyway, leading up to the challenge, I thought I'd share something a little different for my Poetic Saturday this week. I'm going to share some starts and stops of poems that may or may not end up as full grown poems. This a recent sampling of the typical bits and pieces that fill so many notebooks around the Brewer household. Enjoy! there's no way for us to stop them. cast a spell and hover over my house. give me a blessing. give me a sign. all the stuff for today. I'm so pleased to share Jo Sparkes with the Not Bob crowd. She's had experience working in collaborative writing environments and is sharing the benefits of that process and mindset today. Jo has written scripts for Children's live-action and animated television programs, a direct to video Children's DVD, television commercials and corporate videos. 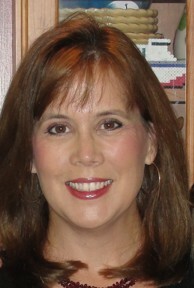 She's been a feature writer on ReZoom.com and a contributing writer for the Arizona Sports Fans Network; where she was called their most popular writer, known for her humorous articles, player interviews and game coverage. Jo was unofficially the first to interview Emmitt Smith when he arrived in Arizona to play for the Cardinals. She has adjunct taught at the Film School at Scottsdale Community College, and stood in front of the camera for a video, "Stepping Above Criticism," capturing a popular talk with her students. Her new book, Feedback How to Give It How to Get It, shares her lessons learned with writers, and indeed everyone dealing with life's criticism. For me, the criticism a writer gets is the hardest part of writing. Working in the corporate world, feedback never bothered me. If I made a mistake, I just fixed it. If someone had a better idea, great. I suppose there wasn't a lot of little emotional attachment. Writing is different. There's a part of the soul out there, so it's tougher not to take it personally. And having fallen in love with writing scripts, I think it was even worse. All writing is subjected to criticism, but scripts are not written for a general audience. They're a blueprint for other artists, used by those artists to construct something new. By their very nature, scripts are a target for criticism and change. It's a collaborative art. Gradually you either find a way to survive, or you move on to other writing. I survived with a combination of a new mindset and a process. The mindset was seeing the scripts as work for hire, and the various people involved as clients. Most of my work was corporate videos or commercials, so it wasn't a difficult leap. I'd been brought in to write something, and I knew it would take several iterations, and that everyone involved would have input. The shift came in realizing there was no 'right' answer, no perfect script. Early on I thought if I was really a good writer, it wouldn't need fixing. That I would have it perfect the first time. But collaboration really isn't so bad. Each artist brings his/her own view, own experience to the table. A set design and a clever wardrobe add the right hint of flavor. A director has to make it his/her own, bringing personal experience to bear. Without that there is no passion. Really. Otherwise the piece is flat, lacking soul. Of course the writer has to have passion. Of course we have a vision, a story to tell. But that vision need not be myopic. It helps, greatly, to be the one to make the changes. To be a part of that collaboration process. And to do that, you have to be part of the creative team, not the roadblock in the path. I honestly believe that's why writers are often banned from the set. If you think you have a great blog post idea, click here to learn how to get the conversation started. I'm sure if you think it's important, I may too. 3 Tips on How to Get Published If You're a Writer. Here's part 2 of "The Unexpected Souvenir," by Ellen Weeren (click here to read part 1), in which her trip winds down and takes an unexpected turn. Ellen graduated from college with an English Writing degree 20 years ago and began her career as a law enforcement policy writer, newsletter editor, and conference planner. When her second child was born in 1999, she quit working and quit writing. Then, three years ago, her husband was very unexpectedly offered a job in New Delhi, India. After Ellen literally threw up, she moved her family across the ocean to a country she knew very little about. She knew it would be amazing but she was also more than a tad overwhelmed. As part journal and part therapy session, Ellen started a blog about her family's adventure--A Reason To Write, which has received international recognition as one of the best travel blogs in the blogosphere. Moving to India was a gift in many ways--a gift to see what rest of the whole world is really like, the gift to travel, and the gift of many reasons to write again. Ellen enjoyed writing so much that she started a second blog called A Reason To Read, where she reviews books. Since returning to the U.S., Ellen continues to pursue writing and is even now dabbling in a little fiction. You can follow her on Twitter at @EllenWeeren or @AReasonToWrite. As I was putting my phone away and sinking into my seat, I looked around at the busyness on the street. It was chaotic and endless. It was hard to pick out a single scene and focus on it. The realization that I was now exhausted began to settle in and I leaned back in my seat, turning the air vent toward my face. But then just over to my left, a man came into view. There was no reason, really, that I should be drawn to him. He was loosely defined in the same dusty, brown haze as the foggy air that surrounded him. He wore a simple and stale, used-to-be-white robe and was standing in the middle of the road. In between traffic and blinks, he could have easily disappeared. He looked like he needed help. It was not immediately clear just how truly desperate he was. You can unfortunately and unintentionally become numb to the desperation in India a little too easily. Even with the biggest most generous heart, the knowledge that you simply can't help everyone graciously lends you an excuse to ignore someone who is clearly struggling. My friends were still on their phones and I am pretty certain that they never even saw what happened next. I don’t know how my driver could have possibly missed it but he showered me with the gift of never discussing it. As the traffic light in front of us turned red and traffic slowed, the man in the middle of the road slowly began lifting the skirt of his tattered robe. At first, I only saw his bare and wrinkled brown feet. His toes seemed to be bent in half from holding on too tightly to the melting asphalt. Then he revealed his far too skinny ankles. Followed by his knotted, bent, and ashy knees. His skin was stretched tightly over bones that were very likely brittle and deteriorating. They were bones that had probably never tasted milk and knew nothing of vitamins. Maybe they had never even had the chance to be strong enough to allow him to hold up his slight frame with pride and determination or, more importantly, hope. It took me a few seconds to fully comprehend what he was doing. To allow myself to believe I wasn't just imagining it. But not enough time to distract myself from it--to delve into conversation and disappear or close my eyes and wish him away. With his skirt fully lifted, I finally began to understand what he was doing. This man had taken straw-colored raffia and tied it around one of his testicles. It had swollen to nearly the size of a basketball. He would lift his robe to show the people driving by just how profoundly he needed help. Their help. And, then, my help. Questions raced through my head. How are you supposed to respond to that? How do you digest that? How can you explain it? What are you supposed to do? I wanted to understand how this could possibly make sense. How do you say that, from an air conditioned car with a full belly and new rings on your fingers, you are not going to stop and do something, anything? I was momentarily mad at India for hosting me in this amazing adventure through the streets of Old Delhi, only to bring it to this nonsensical end. There were so many times when there was truly nothing I could do to make a situation better. But this time maybe I could have, at least momentarily, helped another human being. As the light blinked back to green, my anger drained back into its more comfortable state of confusion. The "why" of it once again hung in the air as a question without an answer. We drove away but I can never forget his face. His black eyes were unwillingly resigned to accepting his position. His absolute destruction was the way he fought back and garnished attention. Many westerners might have seen him and railed against his condition, calling him lazy or foolish, angry that he would expect others to make his life better. India has the unique ability to make you feel angry, sad, helpless, and guilty all at the same time. Sights like this man leave the visitor wondering, "what the bloody hell." I was so stunned that I could not have acted even if I had thought of something to do. Even if I had thought to empty my purse at his feet, I could not have done it. In the tremendous heat, I was frozen. I never even turned my head away. Our eyes met as we were rolling away and he just looked at me as if to say, "Yes, my dear, you are seeing exactly what you think you are seeing, and what are you going to do with it?" I sat in disbelief that I completely ignored a man who had intentionally mangled part of himself beyond all recognition. I still question what I am supposed to do with his image. I am not sure how to handle this experience. What to do with it. I sometimes wonder who would care what this man across an ocean did. How does it relate to life here and now? It would be all too easy to pretend that his suffering was unique to that land so far away from the home I have now returned to. But struggle in the human condition is universal and need is everywhere, even though it is not always so obvious. So, while I still regret not acting in that moment, the experience did change me. I am disappointed in myself for not finding a way to make a difference for that man and the thousand, maybe even million, others who join him on the streets of Delhi and other places. But now, more so than ever, when I have the chance to be helpful, I take it. And, it is most often in simple ways that really don't cost me much more than a few minutes. My actions won't change the world and I understand that. But I can make little moments a little better. It's not that hard really--hold the door open a little longer so the person behind you can walk through it too, smile more, make dinner for a friend, call someone who is hurting, donate food to a food bank, ask how you can help, etc. Most of it can be accomplished without much sacrifice. I am not able to store this broken souvenir memory of a tattered man across an ocean away on a shelf and let it gather more dust. It is not a picture that I can shove in a scrapbook and close the cover to forget. It lives in my memory and reminds me nearly every day to be more helpful, kind, and generous. I am reminded to slow down and pay attention and not be so self-absorbed. Now my vision of him has purpose, reminding me to not ignore the needs of others right in front of me. My memory of him matters more than any other trinket I brought home with me--even more than the bright, untarnished ring I bought that day in Old Delhi. Sadly that ring very often sits in the back of my jewelry box, mostly forgotten because it is just a thing that doesn't make much difference in the life of anyone I know. Every week brings plenty of great new advice for writers of all skill levels. Here's the best of what I've found this week. Confession Tuesday - The Dark Cloud Edition, by Kelli Russell Agodon. Kelli does these confession Tuesdays (and thankful Thursdays), but I never thought I'd link to one on my advice for writers column. However, I think this post helps show writers how even the best of us have horrible days and weeks. We just have to fight through and remind ourselves that it's not really that bad--or that things will pass. How to Get Media Coverage for Your Book, by Ken Brosky. This is a solid post on how to get coverage of your book by media outlets. I should also mention that it would benefit any author to check with their library for a recent edition of BACONS Media Directories or access to the online database from Cision. I say to check with the library, because these guides costs hundreds of dollars (though they are super useful). How to Make a Living as a Writer, Part One, by Rachelle Gardner. Expect more on this topic, but Rachelle starts off by explaining one of two parts about making a living as a writer: volume. Writers who think they can write one thing and make a living are fooling themselves. Writers make a living by writing...a lot. 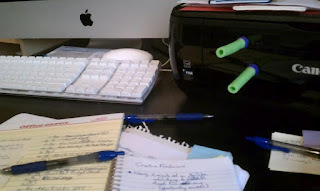 The 3 Worst Blog Writing Blunders, by Carol Tice. These blunders are definitely applicable to writing blogs, but like much writing advice can also be applied to other types of writing. For instance, doing your homework is just as important for your blog post as your query letter as your short story as your (blank). Nuke the Slush Pile, by James H. Pence. The slush pile is the pile of unsolicited queries that agents and editors used to receive via traditional mail. Now, many agents and editors have virtual piles they manage, whether via e-mail or an online submission system of some sort. Anyway, virtual or real, nuking the slush pile doesn't sound like a terrible idea. 25 Ways to Rock Writers Conferences. Treat Your Career Like Your Writing: 5 Tips for Making Money as a Writer. This is the first post in the Life Changing Moments series to not appear on a Wednesday, but that's okay; it's also the first post in the series to be broken into two parts (and the second part is scheduled to drop on Wednesday). I'm so thankful to have readers like Ellen Weeren, who are willing to share their moments with me out of the blue. This particular moment--spread across two posts--manages to show various pieces of a culture that was foreign to Ellen and her friends. Being able to share her experience so honestly is really something incredible. Ellen graduated from college with an English Writing degree 20 years ago and began her career as a law enforcement policy writer, newsletter editor, and conference planner. When her second child was born in 1999, she quit working and quit writing. Then, three years ago, her husband was very unexpectedly offered a job in New Delhi, India. After Ellen literally threw up, she moved her family across the ocean to a country she knew very little about. She knew it would be amazing but she was also more than a tad overwhelmed. As part journal and part therapy session, Ellen started a blog about her family's adventure--A Reason To Write, which has received international recognition as one of the best travel blogs in the blogosphere. Moving to India was a gift in many ways--a gift to see what rest of the whole world is really like, the gift to travel, and the gift of many reasons to write again. Ellen enjoyed writing so much that she started a second blog called A Reason To Read, where she reviews books. Since returning to the U.S., Ellen continues to pursue writing and is even now dabbling in a little fiction. You can follow her on Twitter at @EllenWeeren or @AReasonToWrite. 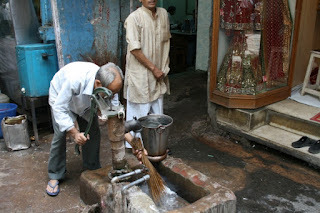 Many westerners are hesitant to travel into Old Delhi. In fact, some companies even discourage their employees (especially the women) from going there because of the congestion, the dirt, and the male-dominated crowds. But I had two expat friends who were as eager for adventure as I was. We happily made plans for a visit to Old Delhi, refusing to be scared and refusing to miss out on the benefits of living abroad--the benefits of visiting places vastly different from what we knew to be normal and comfortable. Old Delhi is just that kind of place. It is different in every way from anywhere I had ever been. It is alive with all that India is about. 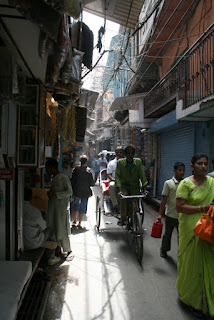 Old Delhi is a fascinating and wonderful corner that has been written about many times over. But it is best explored in person. The noise, the smells, the tastes, and the crowds just don't share themselves with a passive reader--they demand a captive audience who willingly slips in between the cobblestone pages and walks the alleys, someone who can't simply lay down a book and turn away. However, I did appreciate the need for caution. 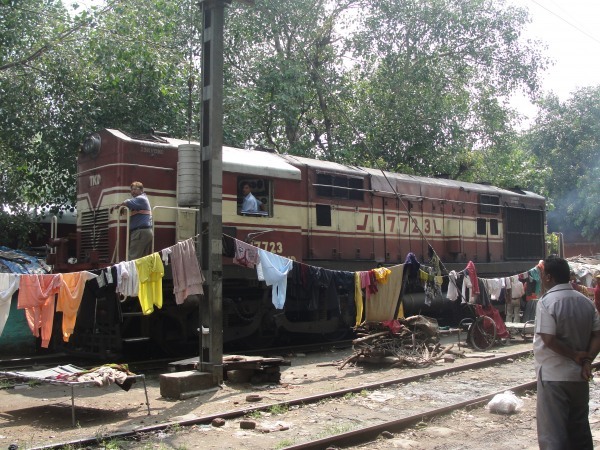 There were certainly other experiences that surprised me throughout India and made me uncomfortable. Moments I simply did not understand. More than once, I saw a dead body strewn across the side of the road and easily ignored by many, many people passing by. I was never able to reconcile that. The very nonchalant way that someone can distract herself from a human being lying forgotten or, even worse, avoided on the side of the road. Sometimes covered. Sometimes not. Without reporters dreaming of headlines. Minus crowds of people gathering and gasping in disbelief. Mostly just people moving on--or moving around--busy with their own ways, barely glancing over to see what happened other than to side-step the inconvenience of it all. I always wondered who was at home waiting. Who did care that someone had stopped breathing through no fault of his own? Where was the person who had wreaked such havoc and how could he feel comfortable leaving such devastation unattended? What story would the family have to create with the absence of a caring witness? Most of these memories simply dissipate into the haze. They fade and lose their sense of reality. In fact, unless armed with pages of my own words capturing the stories and proving that I once believed them, it might be hard to convince even me that some of it truly happened. I sometimes find myself thinking, "It couldn't. It wouldn't." But, then I would remember, "Wait, maybe it did." But Old Delhi was waiting and we confidently ignored the warnings. We knew enough not to go alone, to keep our purses tightly in front of us, and when to cover our heads. We understood the importance of being careful, but the promise of a tremendous experience drew us in. We wrapped ourselves in colorful dupattas (scarves) and climbed the red stone steps to the Jama Masjid Mosque where Shah Jahan himself ended parades atop elephants with feasts and prayer and reflection. We gladly kicked off our shoes and rang the antique brass bell hanging from a new rope at the Jain Temple, letting the gods know we were there and asking them to keep watch over those we loved. We visited our favorite jeweler and his family and spoiled ourselves with shiny trinkets and sips of chai tea out of the porcelain cups once owned by the jeweler's grandmother. We laughed that our new jewels were really for our kids and our grandkids and that we would just hold them in safe keeping until they were mature enough to care for and appreciate them fully. We admired the seriousness of the kneeling students studying in the Fatepuri Mosque as they rocked in rhythm with their chanting. We found ourselves rocking slightly too, just like women do when they see another mother comforting a newborn, except this time we rocked forward and back. We inhaled the chili pepper dust and braved the stares of the testosterone-filled Spice Market, where we dined on delicious raw cashews and scrumptious pistachios as we watched men bathe in buckets right out in the middle of the streets. They only required a willing water spigot and small sheath of fabric to protect their modesty--two things not always easy to find. We understood the urgency to take advantage of the availability of water, even if it meant bathing on the street, in front of westerners who were taking pictures. We slowed our pace when we saw the Sikhs reverently bowing as they entered their Gurdwara and praised their dedication to feed those who were hungry. We relished the fact that just up the street of Chandni Chowk was also the home of a Baptist Church and a Jain bird sanctuary. All of the world's major religions have a presence on that street and we soaked in just how wonderful that was. 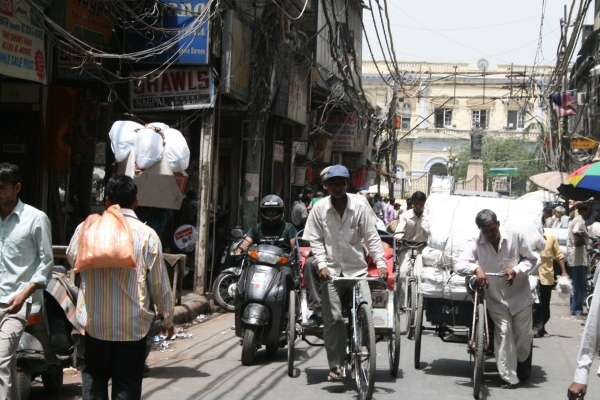 We marveled at just how misunderstood Old Delhi could be in the scrutinizing view of western eyes that were so quick to form judgments based on headlines alone. We raced on to the famed Karims restaurant and joked, as we asked for our sodas in cans and paper plates for our food, that we were brave enough to eat the food but not brave enough to eat it off of their potentially unclean plates. We ate chicken and lamb soaked in oily, spicy sauces and ignored the stares of men who really did not grasp our comfortable presence. We learned, we laughed, and we wore ourselves out. Our glow grew with every stop--we treasured the spirituality, the friendship, and the shopping. While we walked, we each shared our own stories of how we came to know India as such a land of extremes. How it could draw in your breath and steal your heart in the same exact moment with its paralleled regality and desperation. Children stood homeless on streets lined with fancy cars. Beautiful monuments captured history and graffiti. For each of us there seemed to appear undeniable moments that made it impossible to pretend that we lived in a world where suffering didn't drape around us like a misty rain--slow, steady, and lingering--and if you stood in it long enough, saturating. For each of us, there were memories that we could not escape or deny. 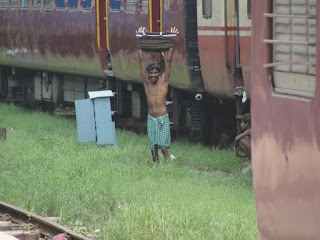 It was best not to dwell on why it could be hard to live in India. So, on the way to the car, we distracted ourselves from the heavy pieces of our conversation and continued to enjoy the sights, sounds, and smells of Old Delhi. The roofs in the alleys donned hundreds of electrical wires laced between the buildings. Those wires served as balance beams for the monkeys who danced across them over our heads. Those monkeys watched over us, not serving as our protectors or entertainers but sizing up the potential of our packages, spying what we carried to determine if any of it was worth stealing. We did our own dance over unknown and smelly splats on the crackling walkway and tried to identify what each might be. Quickly, we decided some mysteries were better left unsolved. We kept pace with the men and animals pushing and pulling carts and with the few women present who were covered in dark, shielding veils. Those women stared at us with as much fascination as we found in them, each of us wondering what could possibly be appealing about the others world. Our walk continued as we maneuvered through the alleys in tandem with children coming home from school and merchants delivering their wares. A space that was meant to fit just barely three people somehow expanded to fit more than 10 as we twisted and turned to avoid colliding into others. Pungent spices continued to make us sneeze and even gag a little. Young brides shopped for handmade wedding invitations. Incense burned right around the corner from the used auto parts shop rich with its own smells of flaming rubber and grease. As time dripped away, we knew we had better hurry and bustled to the car in a little bit of a panic as the realization sunk in that we might be late for school pickup. We got in the car and immediately started calling the different school offices to be sure they knew we were on the way--explaining that just this time, we would be just a smidge later than normal. "Traffic is horrible," we said and winked at each other while holding our hands just right so that our new rings reflected against the glass of the car window. Earlier this week, I saw something I didn't expect to see while looking for Arcade Fire songs on YouTube. Before one of them, a nearly 2-minute advertisment ran for ghostwriting services. A ghostwriter was pitching his services to public speakers and business professionals. It's the first time I'd seen such an ad on YouTube, especially from a freelance writer. And it's a great idea! How can you take your writing career to the next level? Earlier this week, I also ran across an article about tweeps on Twitter with large followings charging hundreds and even thousands of dollars for sponsored tweets to their followers. If done tastefully, this makes all the sense in the world for tweeps who have six-digit (or more) followers. Another great money-making idea! One week and two new potential money-making ideas for writers (to add to already established money-making ideas for writers). But then, these ideas aren't entirely new, because they're both related to advertising. The new spin is that writers can apply these concepts to their platforms (in the case of Twitter) or use new platforms to find clients (in the case of YouTube). This got me thinking about how writers can get creative with their careers and oppotunities. The solution is simple: Writers should treat their careers like their writing. Observe. Just as a writer observes people and situations for stories, whether fiction or nonfiction, a writer should also observe other businesses and freelancers (writers and non-writers). What do they do to get clients and make money? What techniques do they apply? What do you think is smart? What do you find annoying? Writers are (or should be) expert observers, and they should apply this skill to building their freelance businesses. Imitate. Just as fledgling artists imitate other artists and fledgling writers imitate other writers (in the writing process), it also makes sense to imitate successful business practices of other writers. Imitate their negotation strategies, website designs, blogging techniques, etc. If you think a writer is doing something the right way, then imitate it. Try it out for yourself. Refine. While imitation is how a lot of artists and writers start their careers, they eventually get to a point where it's time to find their own voice. For instance, my poetry blog Poetic Asides started off imitating other poetry blogs while I was getting the hang of blogging, but eventually I figured out what I was trying to accomplish there--and I feel like I've made it my own unique space in the poetry blogosphere. Experiment. As part of that refining process, I made several experiments and false starts. You have to be willing to fail to eventually succeed. Advanced writers do this. They take risks--sometimes calculated, sometimes not so much--and attempt to push their writing into brave new places. Writers would be wise to try this with their careers as well. There's nothing wrong with taking a risk every so often. Innovate. This experimentation can lead to innovation. You can be the first ghostwriter to score big with advertisements on YouTube or the first travel writer to sell $500 sponsored tweets to Hotwire or Expedia (or whatever company) on Twitter. You can have articles and blog posts written about you, because you took your career to the next level; you treated your career like your writing--as if it's art. I'm so happy to share Glenda Council Beall with the MNINB audience today. Glenda attended one of my classes at the Blue Ridge Writers Conference last year. What I really appreciate about her post today is the story of how she needed encouragement to fully pursue her writing. While I think a tough skin and inner drive is important to the success of writers, we also need a nice word or two as we struggle along. Glenda grew up in south Georgia and is a graduate of the University of Georgia. She taught children for 15 years and now teaches adults to follow their dreams of writing, whether for themselves, their families or for the public. 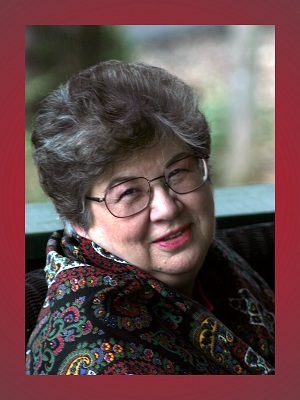 Her poetry, stories and essays have been published in journals, magazines and anthologies. She lives in the mountains of western NC. In 1995, I was a new resident of Hayesville, a small town in the western part of rural North Carolina. I had recently picked up a brochure for the North Carolina Writers' Network. I joined hoping to glean knowledge about the organization through their newsletter. Little did I know that a phone call and an offer from a local poet would change my life. I had been writing since I was in second grade, however as I grew older I did not share it with anyone. My high school English teacher, Miss Feagan, wrote in red on a poem I'd written in class, "Submit this to a magazine." The insecure little girl inside me scoffed, "Don't! No way anyone would publish your poem." I never sent it in. In my 20s, I wrote a travel article for our local newspaper. The last paragraph was sacrificed for lack of space. Humiliated, I hoped no one I knew would see it. I had always been shy, never raising my hand in class even when I knew the answer. I grew up with older brothers who teased and laughed at me. I don't remember when the innocent child became the insecure kid. My inability to speak up, to draw attention to myself, became a huge handicap throughout my life. Eventually, I learned to keep silent. I had been married a few years when I saw an ad in my local newspaper for a creative writing class at the Junior College across town. My husband encouraged me in anything I wanted to do. I had shared my writing with him. Being a musician, he knew the artist in me needed release. I signed up for the writing class. A short, dark-haired man sat beside a table in front of the classroom. Every seat was taken. He looked at us and spoke, his hands clasped over his rotund belly, "I am going to be honest with you," he said. "We have a full house tonight, but by the end of this class half of you will quit, the other half will be crying." He smiled at our shocked faces, quite happy with himself. Most of us did quit that night. Why wait around to cry? I felt like a squashed butterfly. My fantasies of being a published writer dissipated on my drive home. I closeted my writing for another 25 years. Later, we moved to the mountains of North Carolina--into an artist colony, it seemed. But I was not part of it. You can imagine my surprise when I answered the phone that evening, and it was the poet, Nancy Simpson. She said, "I see you are a writer, and you recently joined the North Carolina Writers' Network. 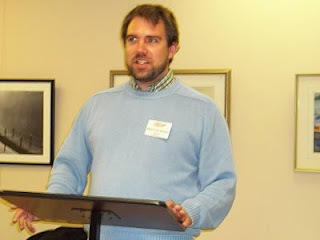 I'm Program Coordinator for NCWN West, and I teach writing and poetry at the John C. Campbell Folk School." Why was she calling me? Was she going to ask for a donation? Did she have me confused with someone else? "I'm teaching a poetry class beginning this month. Do you write poetry?" "Sometimes," I admitted. My pulse raced. Her next words sent my emotions reeling. "I can offer a scholarship for my class. Would you like to have it?" To say yes would be a commitment to more than just taking a class. I sensed this was my opportunity. Old familiar feelings of unworthiness raised their ugly heads. As badly as I wanted to say yes, they said no. "Well, I--I don't write much poetry." I offered as a disclaimer. Actually I had always enjoyed writing poetry, but I wasn't sure if my work would be up to the standards of my classmates. Nancy assured me the other students were like me--some were beginners. Before I knew it, I had told her I would accept the scholarship. I hung up the phone and tried to deal with my fears and my excitement. Exhilarated that I had been chosen to take a free week-long class, I laughed out loud. I had to call my husband. I knew he would be happy for me. Nancy was a far superior teacher to the mean-spirited little man back home. She gave us time to get to know each other, tell about our writing history, and then began to teach us what we needed to learn about free verse and lyric poetry. When she asked us to read some of our work, I almost bolted from the room. My throat felt as if I had swallowed a dozen marshmallows, and they stuck. But I sensed for the first time that my audience was with me, wanted me to do well, and if my work wasn't that good, no one was going to make me feel bad. Nancy Simpson's phone call and welcome to NCWN completely turned my life around. She was the first person to validate my writing. "Yes," she told me when I handed her some verses on paper, "This is a poem." I met other supportive writers and poets who have become life-long friends. We critique hard, while still encouraging each other to continue to write. One thing I know now. My writing is for me, and if it is published somewhere, I'm glad. But if nothing I wrote was published, I'd still be a writer. It is a part of me as essential as breathing, and has always been that way. Therefore, I encourage anyone who enjoys expressing himself or herself through the written word. Because of my appreciation of what NCWN West had done for me, I became a volunteer. Nancy appointed me Clay County Representative. Shirley Uphouse, her successor as Program Coordinator, asked me to serve as publicity chair for Netwest. In 2007, I became Program Coordinator for our ninety-member organization. 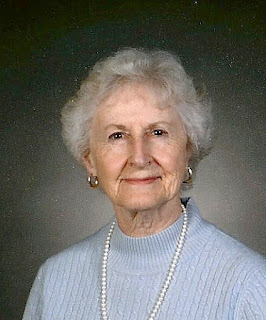 My family could not believe the timid, self-conscious person they knew was now standing before groups and making speeches, reading her work before audiences, writing articles for newspapers and publishing her poetry. In 2009, Finishing Line Press published my poetry book, Now Might as Well be Then. I opened a writing studio in my home where others and I teach writing and poetry. I am presently working on another poetry collection and submitting stories and essays. I strive to support other poets and writers because there are others who, like me, just need encouragement, validation, a push to open the door and share their talent. We all fear opening our hearts to strangers, revealing deepest emotions in our poems, handing over our most precious, most fragile thoughts for others to trample or to admire. But that is the risk we must be willing to take to become a published writer. Maybe two of the most over-worked "buzz" terms for writers are platform and social media. The two are often connected, because it's generally considered that writers need to use social media effectively to help build their platforms--and for the most part, that's sound advice. 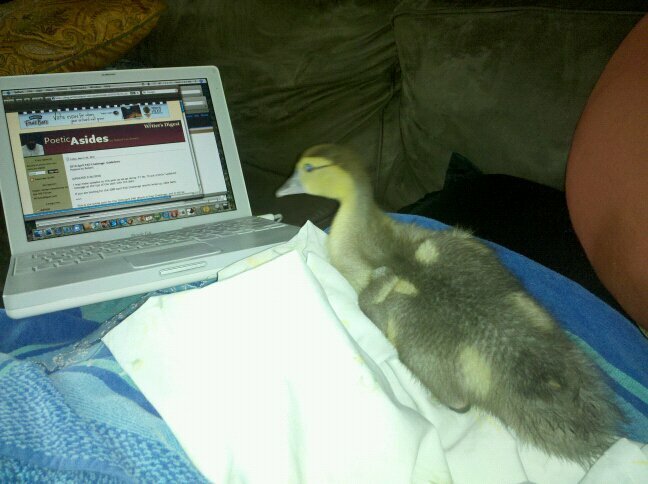 Do you think social media is for the birds? Before you can get started digging into social media sites, you need to know what exists. To help out, here's a list of the various sites with links to tips on how to optimize your experience. Notice that I did not list every imaginable site ever. Instead, I focused on the big ones as I know them. If you want to make a case for another social media hub, do so in the comments and maybe I'll add to this list. Facebook. This is still the big social network. It's where the people are...and their friends...and their pictures...and their status updates...and their messaging. Here are some Facebook tips for writers to get you started if you're not there already (or if you are, but aren't quite sure what you're doing). Twitter. This is a microblogging site. Every tweet must be 140 characters or less. That's really economizing language, and here are some Twitter tips for writers. This site is part social, part newsy, part crazy. If you can build a good follower base, it's also a great site for referral traffic to your blog or site. LinkedIn. This social network has carved out its own niche as a professional networking site. It's probably of greatest use to academic-minded and professional/technical writers, who are often looking to build relationships with institutions and companies more than the average freelancer. However, I've even seen poets use this site to help prep their speaking tours. Here are some LinkedIn tips for writers. Google+. This site is still new and going through the growing pains of a new social network. Initially, there was a lot of buzz surrounding the launch of Google+, but that's now died off a bit--and many users have abandoned their use of the site. However, I wouldn't write off this site just yet. For one, I've previously abandoned Facebook and Twitter--only to return more furiously than ever. For two, this social media site is powered by Google--the largest search engine on the planet. Here are 11 Google+ tips for writers. Pinterest. I have an invitation from my wife to join Pinterest, but I've just been too busy to check this site out the way I'd like so far. That's my bad, because a study recently found that Pinterest refers more traffic than Twitter, which is huge news. Many traditional media companies, including Better Homes and Gardens, are making big pushes on this visual social media platform. Here are 10 tips for using Pinterest well. Goodreads. This social network caters to readers, who also happen to be the audience of...umm...writers! So it makes sense for writers to hang a shingle, make connections, and have a strong presence on this popular social media site. Here are 2 ways to make the most of Goodreads. Tumblr. This is another great referral site that doubles as a popular blogging site. It's not my cup of tea, but I know people who love it. Here are 10 tips for making the most of Tumblr. Another important social networking site is YouTube, which is the second largest search engine. The only reason I don't have it listed in the normal list is that I think of this site as more of a content site than a social networking site, though maybe I just don't use it the right way. Regardless, here are 12 tips for using YouTube to promote your freelance business. Once you find a social media site (or three) that you enjoy using, you need to know how to make the most of that site. In the past, I've shared social media etiquette for writers and explained the process of dealing with interface changes (because sites like Twitter and Facebook are always changing their interfaces). Complete your profile. Whenever you sign up for a new social media site, it prompts you to complete your profile. Do this. Enter your name, your e-mail, any URLs, pictures, work experience, etc. Make it easy for people to identify your profile as uniquely yours. Include image of yourself. It amazes me that many writers still hide behind an icon or comic character or famous person photo. Instead of having your avatar be someone who's not you, use a headshot of yourself (even if you're convinced the image isn't flattering). People like to connect with other real people--even online. Be selective about friends and follows. Some profiles on these social networks are bogus, so check out potential friends or people to follow before connecting. You don't need to make them share their references, but check out their profiles first--just to make sure it's a good fit. Don't expect anything. Sure, social media can help people with their careers and platforms, but don't expect anything specific when you start investing time and energy in social media. Instead, be open to serendipity and finding new paths that you didn't know existed. Communicate with others. Avoid just always throwing out content without listening. Also, avoid just lurking in the shadows without ever sharing your perspective or experiences. Get engaged and join the conversation. One of the gripes I hear often from writers is that they don't have the time to handle social media in addition to everything else. I don't buy this argument, and here's why: I have 5 kids (3 who live with me in Georgia and 2 who I visit at least once a month up in Ohio), volunteer as a den leader for Cub Scouts, have a full-time job as an editor, write and submit poetry that gets published in online and print publications, blog frequently on my "own time" at this blog, take Sundays off for my faith, and I still find time to connect with people on social media sites. You have the time to do social media. The question is whether you're willing to take the time to do social media. Unless you have 6 kids spread across 3 states and work 2 full-time jobs while doing a crazy amount of volunteer work, I'm just not buying the "no time" argument. Finally, I just want to touch on the power of social media when used in conjunction with other pieces of a platform. You see, social media alone does not make a platform--or if it does, the platform is pretty flimsy. No, a platform needs several posts to make it sturdy and stable. As a result, I advise writers to have some sort of regularly updated online hub, whether that's an author website or blog. Social media alone is useful, but writers can amplify results by pairing up social media use with consistent content on a blog or website. Content gives you something worthwhile to share on social media sites, and sharing content on social media sites drives traffic to your blog or website. It's a win-win. Time to get started on another week of greatness. Here's some advice to help along the way. Ten Things You Should Know About Setting, by Chuck Wendig. From explaining what it is to why setting should be active (so what's setting again? ), Chuck offers a great list of setting tips. Your Home Page Is Not as Important as You Think, by Dan Blank. A lot of authors and publishers (and well, people in general) equate home pages as the most important parts of their websites. While they are important, Dan explains why the home page is only one piece of the puzzle. The 5 Most Common Author Website Mistakes, by Thomas Umstattd, Jr. The past week brought a lot of information on author websites apparently. I think each of these five common mistakes is on the money. 10 Reasons You Can't Make a Living Writing, by Josh Sarz. If you fall under these 10 reasons, then you probably can't make a living writing either. Or you might need to change your attitude. The Biggest Danger of Multiple POVs, by K.M. Weiland. I love the novel As I Lay Dying, by William Faulkner, specifically because of the shifts in point of view. However, Weiland explains why multiple POV is not the norm in storytelling. My poems (yes, I've been insanely prolific recently) over the past week or so have been inspired by the Art Institute of Chicago and my trip to Chicago with Tammy for the 2012 AWP Conference. Something about airport terminals and Tammy and art and cities and people gets my brain firing on all cylinders. And then we topped it off by watching Midnight in Paris when we returned home. Sigh. of children and tempt the hearts of lovers. hover over their houses as they sleep. 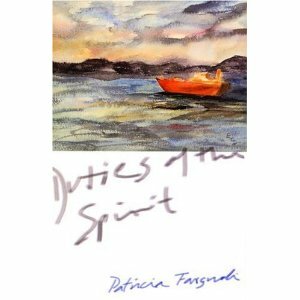 Tupelo Press publishes some of the nicest looking poetry collections around, and Patricia Fargnoli is perhaps their best poet. The former Poet Laureate of New Hampshire, Fargnoli has a style that slices into the heart of the heart of the situation. One of my favorite poems by anyone (yes, anyone) is in this collection: "The Undeniable Pressure of Existence." In this poem, the narrator watches a fox running by the side of the road past the everyday and familiar sights of human existence (Jim's Pizza, the Wash-O-Mat) and the narrator watches from her moving car, "...certain he was beyond / any aid, any desire to save him, and he ran loping on, / far out of his element, sick, panting, starving, / his eyes fixed on some point ahead of him, / some possible salvation / in all this hopelessness, that only he could see." Amazing! 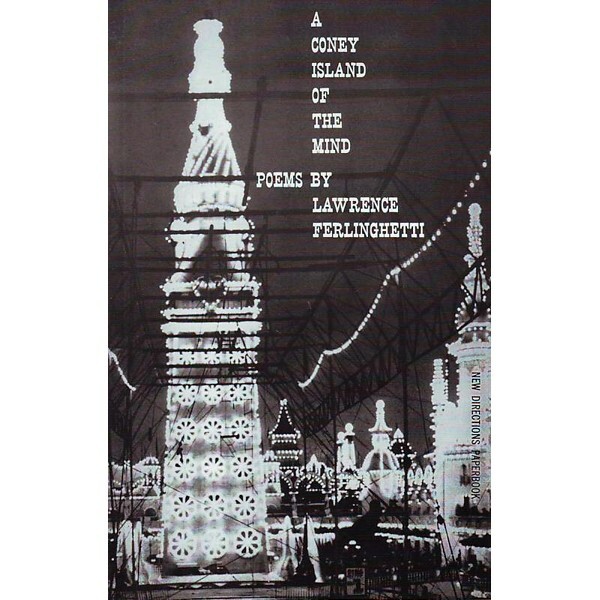 I remember picking up this collection at a used bookstore--without any previous knowledge of who Ferlinghetti was--and reading these lines: "In Goya's greatest scenes we seem to see / the people of the world / exactly at the moment when / they first attained the title of / 'suffering humanity' ..." My gosh, I was hooked from there to the end. Are these perfect poems? No. 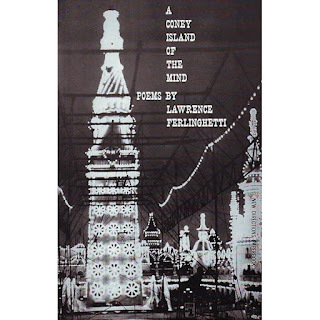 Would they all find homes in the big lit journals today (if Ferlinghetti were a struggling unknown poet)? Heck, no. But these poems capture a time and a place--and their power still speaks to the hearts of poets today. As the Sun Set in the Forest. This week's post for the Life Changing Moments series was sent in by Joan L. Cannon. Something I enjoyed about this post is how Joan's actions brought out the best in another person, and hopefully, it was a life-changing moment for that student as well. Joan is a native of New York City. She has been a teacher, an editor, but above all, a reader. She is the author of two novels: Settling and Maiden Run, and Peripheral Vision, Stories. She has published a number of short stories and profiles, and poems in online journals. She currently writes reviews and essays for the online magazine Senior Women Web. She lives in a retirement community near the Blue Ridge Mountains of North Carolina. Check out her blog, Hilltop Notes. Maybe I subconsciously remembered something an old hand at teaching told me years before I began myself. She said, "If you expect nothing, that's exactly what you'll get." Thank goodness I was a substitute those first months. Sometimes a little ignorance is a wonderful thing. There was a girl in my sophomore English class whose behavior was carefully calculated to distract her peers and me almost equally. She was bright, and I suspected easily bored. I would ask her to pay attention when she insisted on whispering to her neighbors, but it didn't make a difference. After a couple of weeks, I got pretty shirty with her in front of everyone, and she changed her tactics. She took to passing notes. Like most teachers in those days, I usually stood in front of the blackboard (remember blackboards?). In an effort to disrupt my unruly pupil's latest ploy, I began to stroll up and down the aisles formed by the neatly aligned seats. On one of these passes, I managed to arrive at the place where a note was changing hands across my path. I intercepted it. My teeth were clenched; I'd made up my mind not to continue this performance. I had a textbook in my hand, and I slid the folded note into the palm of the hand holding the book and proceeded with whatever I was reading or discussing. There was one of those silences that can fall on even a quiet group, as if everyone had stopped breathing. I looked up from the page in front of me when the note passer's voice rang out, "Aren't you going to read it?" Something made me consider in an instant my husband's and my principles in dealing with our own teenage children. I looked her in the eye. "We're entitled to your courtesy; you're entitled to your privacy." 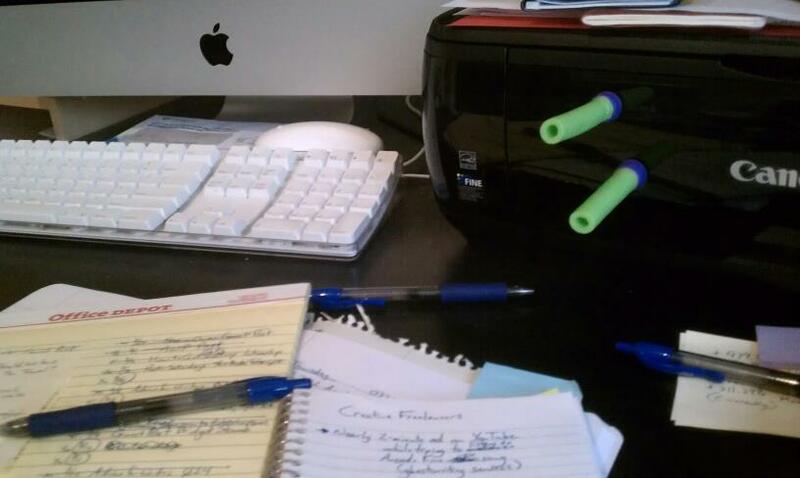 I went to my desk and dropped the note in the wastebasket. Within the next week or so, I was in the faculty room when there was a typical discussion of problem students under way. Someone mentioned the girl whose note I had appropriated (and with whom I had not one problem afterwards). "My God! Didn't Guidance tell you? She's dangerous, if she gets mad at you. We've all been cautioned about her since she went after Mr. W____ with a pair of scissors!" Not only did she stop disrupting the class, she finished the year with excellent grades. One of my goals for 2012 on My Name Is Not Bob is to offer more posts that attempt to make a difference--not just for writers but for everybody. Part of that is through my inconsistent Blissfully posts and part of that is through what's been a very consistent Life Changing Moments series of guest posts. Since the stories have all been so good, I wanted to collect the first 10 in this post to make them easy to find and re-visit. Finding and Longing for Community, by Jane Friedman. In this post, Jane shares how leaving the familiarity of home led her to a real community of friends--a community to which she's often wished she could return. I'm sure many of us have experienced such a community, time, or place. Flying Solo: Traveling to London Alone, by Collin Kelley. Interestingly enough, Collin followed up Jane's post about finding and longing for community with his first solo adventure across the sea (in London). As part of the trip, Collin needed to get away from something, but the city surprised him in the end. You Look Like Your Mama Mated With a Rhino, by Nin Andrews. Nin reveals her unique eye disorder, strabismus. As a child, she was told to look away from the camera (instead of directly at it) by her own father, and other children (and yes, adults) were cruel to her about it. However, Nin discusses a moment that helped her move past hiding her eyes. Bending the Rules: Or a Poet Has to Be a Poet, by Scott Owens. Scott was asked to write a story--like everyone else--and he did...kinda. He explains that a poet has to be a poet, and so he shared several poems after a brief introduction. Once you read the poems, it's hard to imagine him tackling the task any other way. Debbie Ridpath Ohi. Photo credit: Beckett Gladney. When I Learned to Actively Pursue Happiness, by Debbie Ridpath Ohi. It took tragedy--the unexpected death of her brother and new sister-in-law--to prompt Debbie to start living her life by her own rules, actively pursuing happiness and not letting anything (or anyone) stand between her and that pursuit. Finding the Courage to "Go for It," by Sage Cohen. Sage shares her crush on a boy in gym class and talks about the moment she decided to quit riding her bike back and forth in front of his house and do something about it. What happens next is inspiring in that it shows the difference in someone who constantly pines away and a person who takes chances. 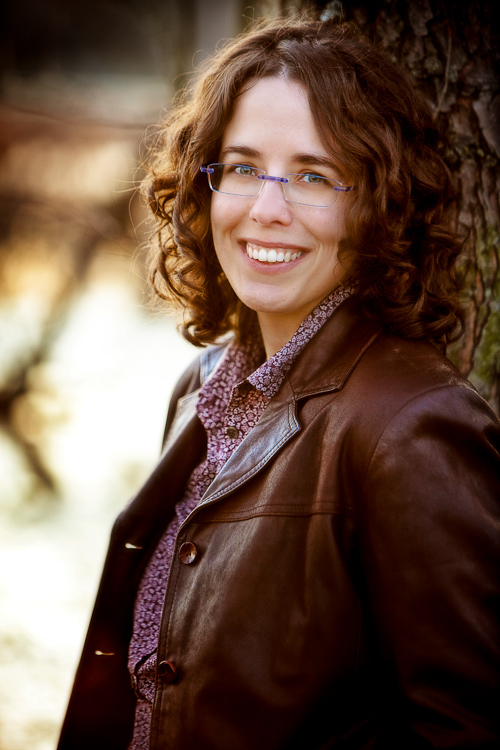 When All Hell Broke Loose, and I Got My Life Back, by Christina Katz. 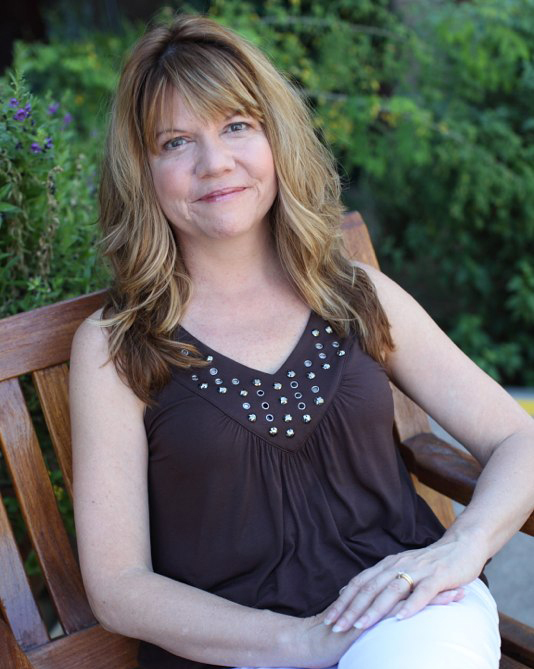 Christina shares a moment in her life when her life could keep going or quit altogether. In a perfect moment, she felt the capacity to end it all or keep going. And that's precisely the moment when many people find out what they're made of. Jessica Strawser. Photo credit: Lindsay Hiatt. Surviving Childbirth: Putting Gratitude Beneath Chaos, by Jessica Strawser. As a father, I've been on the other end of four children being born, so I know a thing or two about what can happen in the process. However, I'm thankful I didn't have to experience what Jessica and her husband went through with her first child. But as you'll see, Jessica is filled with courage and a positive attitude. The Upside to Getting Fired, by Sharon K. Owen. I've had a lot of jobs over the years, but I've never had to go through the process of being fired. But I know people who have and know it's not easy (for several reasons). It's refreshing to know someone like Sharon can take such a negative experience and spin it into a whole new lifestyle. Why I Give Back to Writers, by C. Hope Clark. Hope is one of those people in the writing community that gives and gives (and gives). This story tells how she got started, who prompted her, and how that relationship made her realize just how much a person can give--even when they can't expect anything in return. Overcoming Depression to Publish a Novel.